Proof of the sum believes in the power of connections and the creation of unexpected networks. Not only in the buildings we make, but also in the way we work. Fast, focused and in changing teams. We only work for clients who dare to put the strengthening of knowledge sharing first. It is time to get in touch with a BIM-engineer who believe in architecture beyond the appealing aesthetics and sustainability. After all, they are obvious today. We are looking for a draughtsman who structure, model and realize our projects. 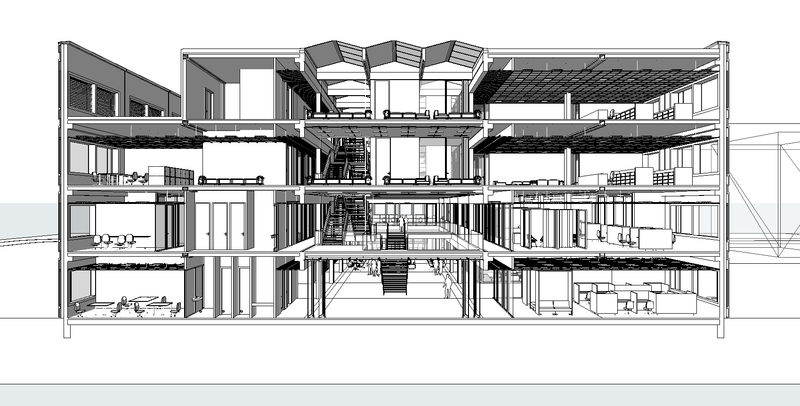 Our ideal architect works in a 3D world (Archicad is a pre) and has experience in all phases of projects, from pantry furniture to a large-scale government building. Your eye for details and design is of obvious right? If you have been working for us for a few months, we may also ask you to coordinate several projects and to further shape our office methodology. Let us know what you believe in, what your track record looks like and where you want to be in five years from now. Let us know what it takes to include you in our network. Let’s make contact. If your story (or details) lets us skip our heartbeat, we treat a lunch. Then we discuss all the boring and fun elements of our cooperation. It concerns a challenging function of 36 hours per week. The salary is in accordance with CAO architects and depends on experience. You can start immediately and will work on projects in the Netherlands and Belgium. We love digital so your story and portfolio can be sent to applications@proofofthesum.com. Newer Post We’re looking for a conceptual architect! Older Post We’re looking for an intern with eyes on research!